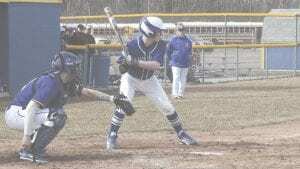 SAGINAW – The Carman- Ainsworth baseball team opened the season with a pair of losses against Saginaw Heritage. The Cavaliers lost the first game 4-1 and dropped the nightcap 11-8. Carman-Ainsworth took a 1-0 lead in the first inning of the early game. Saginaw Heritage drove in four runs in the fifth to take the win. Harrison Hogan tossed five innings, striking out seven while allowing three hits and four runs. Sean Jerome gave up two hits in one inning. Hogan also had Carman-Ainsworth’s only hit of the game. In the night cap, Saginaw Heritage took a 2-1 lead in the first. Carman-Ainsworth scored six runs in the third for a 7-2 lead, but Saginaw Heritage scored one in the fourth and eight in the sixth. The last run for the Cavaliers was in the seventh. Logan Brassaw retired three batters and gave up five hits, eight runs and five walks. Alex Green also gave up a hit, three runs and a walk. Offensively, Hogan led the way with two hits, two RBI and a run. Green, Kameron Koegel and Sean Jerome had two hits, an RBI and a run each. Wallace Hill added a hit, a run and an RBI and Garrett Gleason had a hit, two RBI and a run. 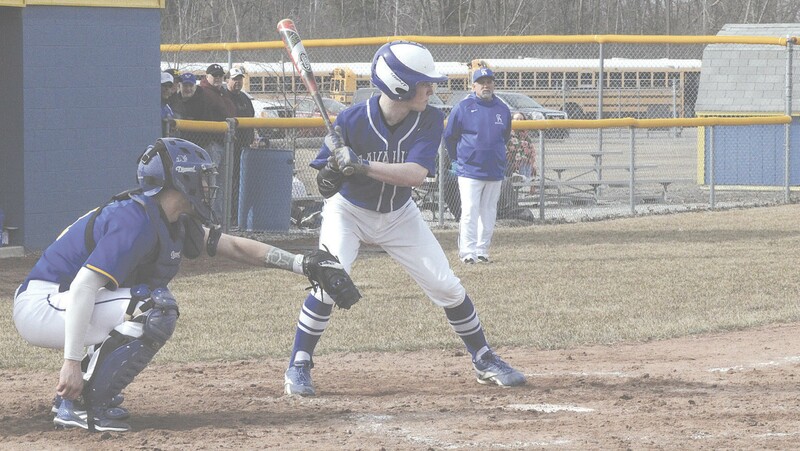 Carman-Ainsworth, 0-2, was at Swartz Creek on Wednesday following press deadlines and will play Clio in the first round of the Greater Flint Tournament on Friday.